World Politics Review, Feb 2018. Late one morning in the fall of 2016, police officers handcuffed a group of middle school-aged boys on a street in a neighborhood on the outskirts of El Salvador’s capital. The boys were serving as lookouts for members of MS-13, or Mara Salvatrucha, the violent street gang that originated in Los Angeles and expanded over two decades ago to this small Central American country, which had just ended a brutal civil war. MS-13 and other gangs have since multiplied across El Salvador, becoming a main source of violence in the postwar era. There are now an estimated 60,000 gang members in a country of 6.5 million people. Serving as lookouts, as the boys were doing, is an early step toward full gang membership. Such incidents are all too common in El Salvador, where there is an alarming pattern of escalating police violence. The Salvadoran National Civil Police, known by its Spanish initials, PNC, often uses the term enfrentamiento, meaning “shoot-out,” to explain police killings of young people suspected of gang membership. 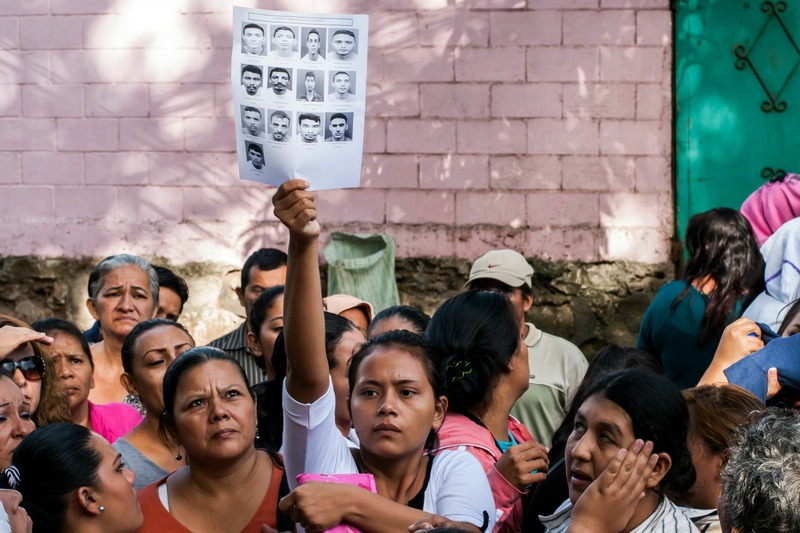 The number of civilian victims of so-called enfrentamientos jumped from 39 in 2013 to 591 in 2016, after Mauricio Landaverde, the director of the PNC at the time, announced that officers would face no consequences for shooting suspected gang members. But as was true in the case of the boys’ killings, these often aren’t shoot-outs at all. Identifying particular groups as representing a paramount threat, and then arguing that special policing and judicial policies are necessary to protect the public from them, is the same approach that led the U.S. to adopt zero-tolerance policies and “broken windows” policing more than a decade before they appeared in El Salvador. Whereas zero-tolerance policies involved frequent arrests and long prison sentences, “broken windows” referred to the aggressive prosecution of minor infractions that were believed to be gateways to violent crimes. 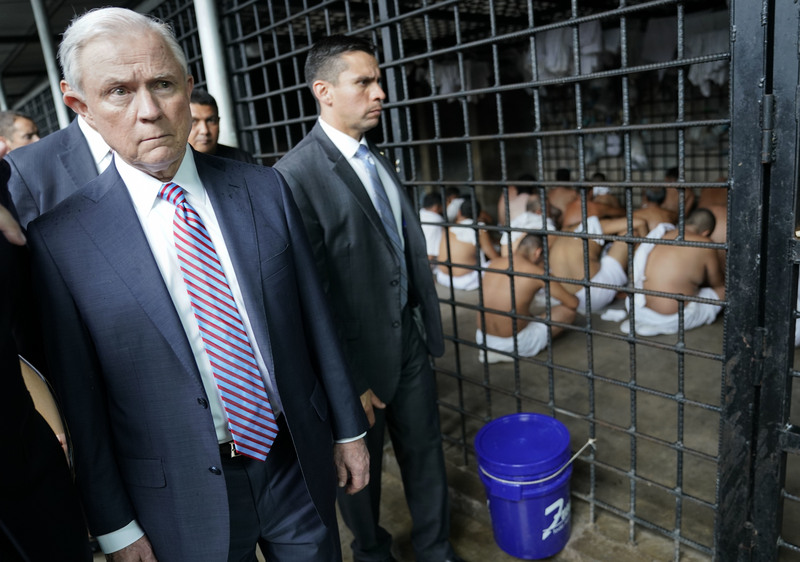 Both ruined relationships between communities and the state and resulted in overcrowded prisons.Over the years, various journalists and researchers have established more explicit links between American and Salvadoran approaches to fighting crime. For example, Jose Miguel Cruz, a Salvadoran political scientist who has been tracking approaches to gang violence in both countries for more than two decades, has written that El Salvador’s anti-gang laws were “inspired by the zero tolerance policy—oriented more toward penalizing wrong than preventing it—that had been implemented in several North American Cities” like New York and Los Angeles. In the 1990s, Alvarez watched as LAPD officers conducted mass sweeps in areas of the city where gangs held territory, often interrupting his programming to line up, interrogate and beat his kids. “The story was: Salvadoran kids fled war to get beat up by cops,” he told me when we met at an IHOP in LA. Sometimes Alvarez himself was forced to his knees and searched after officers stormed Radiotron. Danielle Mackey is a journalist based in El Salvador and New York. She is a senior fellow at the Schuster Institute for Investigative Journalism at Brandeis University, and is a part-time staff member of the research teams at The Intercept and Field of Vision. More of her work is available here. Reporting for this story was made possible by a grant from Fund for Investigative Journalism and a fellowship from the Schuster Institute for Investigative Journalism, with support from the Ford Foundation. This entry was posted on February 6, 2018 by dmm634 in Uncategorized.